Led by the Continental Congress, the Americans almost lost their war for independence because their military thinking was badly muddled. The embryo nation narrowly escaped from the disastrous results of these misconceptions thanks to the levelheaded intelligence of one man: General George Washington. Following the flush of small victories in 1775, patriot leaders were convinced that the key to victory was the homegrown militia--local men defending their families and homes. Washington knew that having and maintaining an army of regular professional soldiers was the only way to win independence. He fought bitterly with the leaders in Congress over the creation of a regular army. In the end, he and his army prevailed. In Strategy of Victory, prolific historian Thomas Fleming examines the battles that created American independence, revealing how the strategy of a professional army, backed by a corps of citizen soldiers determined to fight for their freedom, worked on the battlefield, securing victory, independence and a lasting peace for the young nation. Led by the Continental Congress, the Americans almost lost their war for independence because their military thinking was badly muddled. The embryo nation narrowly escaped from the disastrous results of these misconceptions thanks to the levelheaded intelligence of one man: General George Washington. Following the flush of small victories in 1775, patriot leaders were convinced that the key to victory was the homegrown militia--local men defending their families and homes. Washington knew that having and maintaining an army of regular professional soldiers was the only way to win independence. He fought bitterly with the leaders in Congress over the creation of a regular army. In the end, he and his army prevailed. 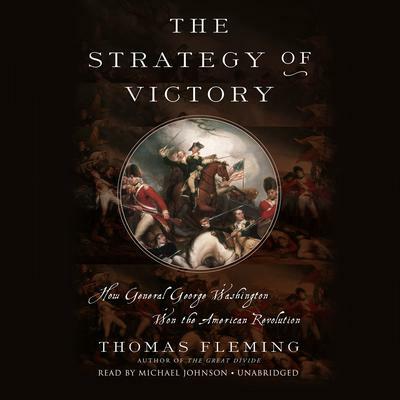 In Strategy of Victory, prolific historian Thomas Fleming examines the battles that created American independence, revealing how the strategy of a professional army, backed by a corps of citizen soldiers determined to fight for their freedom, worked on the battlefield, securing victory, independence and a lasting peace for the young nation.